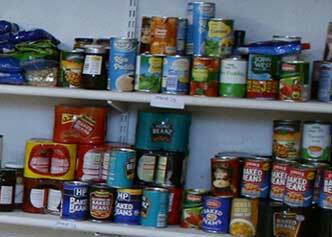 Harvest Community Food Bank was officially launched on the 29th August 2011. The food bank is a community initiative run by volunteers from NTCG Harvest Temple, which exists to serve the community by helping those in need. Our aim is to assist and promote the well being of vulnerable families and individuals within the local community of Wolverhampton by meeting their most basic need of food provision. Every Friday, between 3.30 pm and 5.00 pm. The main contributor is Harvest Temple: it's members and donations from Funerals and other Special Services. Other contributors include: Asda - Heath Town, Sainsburys - Bently Bridge, Tesco Community Food Connection (Wolverhampton) - via FareShare, St Stephens Primary School and Holy Trinity Church.